Celtic patterns and knots are beautiful, mystical symbols of Ireland used to represent faith, love, and unity. The trinity knot, a simple interwoven loop with neither a beginning nor an end, is an exquisite emblem of infinity and eternity. In today’s post we’ll explore the history and significance of the trinity knot. And I’m delighted to host a little giveaway sponsored by the good folks at The Irish Jewelry Company. One lucky winner will receive a magnificent Celtic Mother’s Knot necklace. But before I share the details of our giveaway and prize, let’s explore the symbolism of trinity knots. This simple continuous woven knot pattern represents the cycle of life. Like many Celtic traditions, this knot’s origins are sometimes disputed. Some attribute its creation to our early Christian forebears, while others prefer to assign its creation to our pagan ancestors, the Celts. I accept both interpretations of its history as founded in reality. Before Christianity arrived in Ireland the Celts believed in triads of life-giving and spiritual forces. The three stages of womanhood were represented by maiden, mother and crone. The world was united by three elements of earth, fire and water. When our forebears were introduced to Christianity it’s no surprise their love of triplet symbolism was adopted to explain the existence of a triune God. It was a match made in heaven. 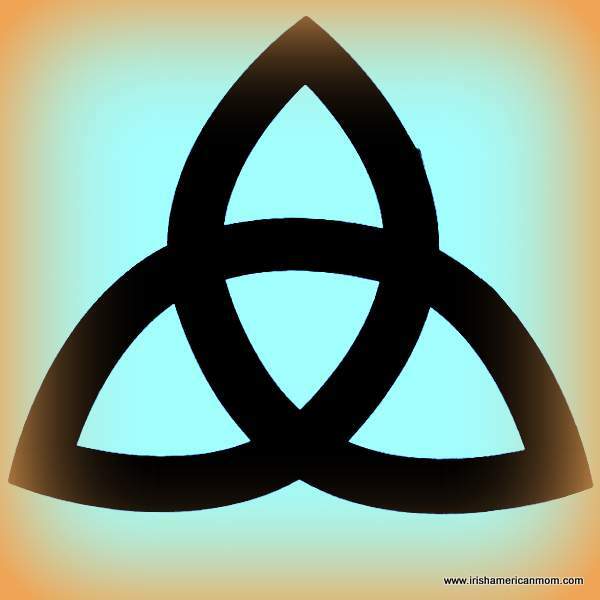 The unbroken lines of the Celts’ beautiful trinity knots were easy to identify with God’s undying love, our spiritual growth and the promise of eternal life. 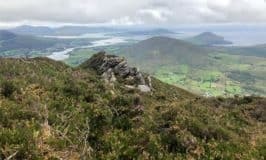 Let’s explore some of the reasons why I find trinity knots to be so meaningful and a perfect emblem of our Irish heritage …. 1. It is an iconic symbol of Ireland, an expression of an ancient and enduring culture. 2. It is an emblem for all eternity, with no beginning and no end, reflecting the timeless nature of our spirit. 3. It represents the Holy Trinity, the three forms of God in a single being, the Father, the Son and the Holy Spirit, mirroring St. Patrick’s use of the shamrock to represent one God in three persons. 4. It is an authentically Celtic symbol featured in ancient metal work and stone carvings from previous centuries and millenniums. 5. 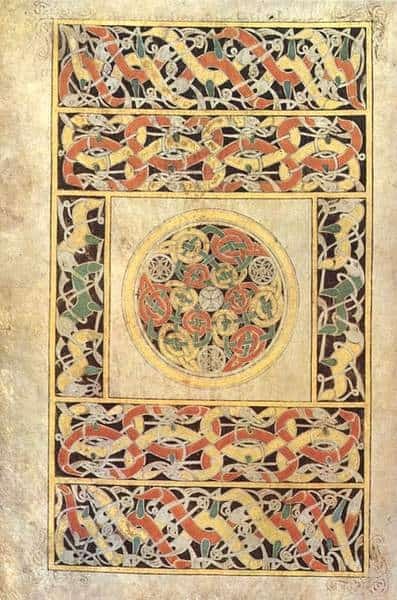 Trinity knots illuminate magnificent Irish manuscripts such as the Book of Kells and the Book of Durrow. 6. Their endless intertwining curves perfectly represent never-ending love. 7. The loops of the trinity knot wrap under and over each other symbolizing honor and protection. 8. The infinite path of this trefoil pattern speaks of an uninterrupted life cycle. When given as a gift it conveys blessings of longevity. 9. The three points or corners of the knot can designate mind, body, and spirit, woven together and interlinked to form life. 10. This tiquetera may signify the three lunar or solar phases, honoring the Great Mother, a Celtic lunar goddess. 11. It depicts a woman’s journey through life – youth, motherhood and old age. 12. When a circle is placed around and through this Celtic knot it represents our spiritual union with the Divine. This deep eternal connection is one that can never be broken. 10. Past, present and future mesh together to form one intertwined existence. 14. The trinity knot is also known as the Irish love knot. 15. A trinity knot is a beautiful emblem and gift for mothers, mother’s-to-be, engagements, weddings, and anniversaries. Phew! I got to 15 reasons. I thought about listing 10 reasons to love the trinity knot, but decided my total should be a multiple of 3. (Now there’s proof I’m a superstitious old Celtic crone). 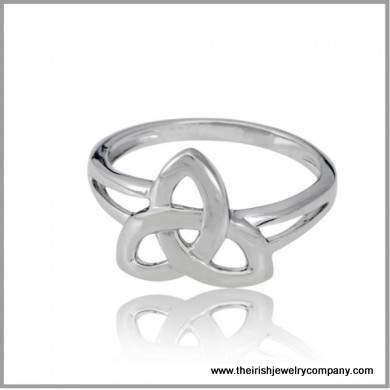 The Irish Jewelry Company specializes in designing exclusive copyrighted Irish jewelry, celebrating our Celtic heritage. Their stylish and original jewelry collection reflects Celtic symbolism and old Irish traditions. 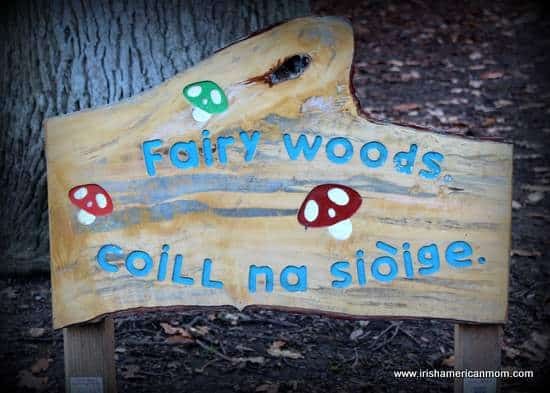 Each and every design expresses a love of Ireland and a deep and meaningful connection to our ancient past. I love how their imaginative twist on traditional designs has resulted in a unique range of Irish inspired jewelry. Founded by an Irish American husband and wife team, they offer high quality Irish jewelry and gifts to their customers, and today they have graciously sponsored a gorgeous prize for one lucky reader. This old Irish saying perfectly expresses the infinite nature of a mother’s love represented by this gorgeous pendant design. 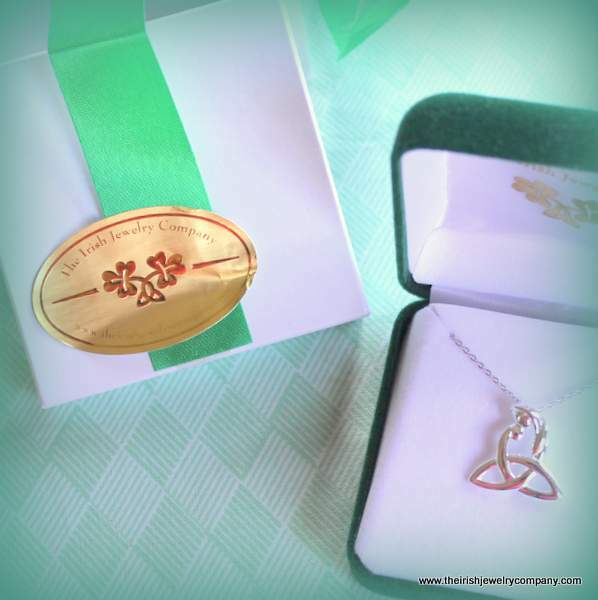 One lucky winner will receive a sterling silver Celtic Mothers knot pendant and chain. To enter just leave a comment on this blog post by noon on Wednesday, August 5th, 2015. Any comment will do, but if you need inspiration why not tell us if you are the proud owner of a piece of Celtic jewelry. Winners will be announced on Wednesday August 5th, 2015, at the bottom of this blog post. 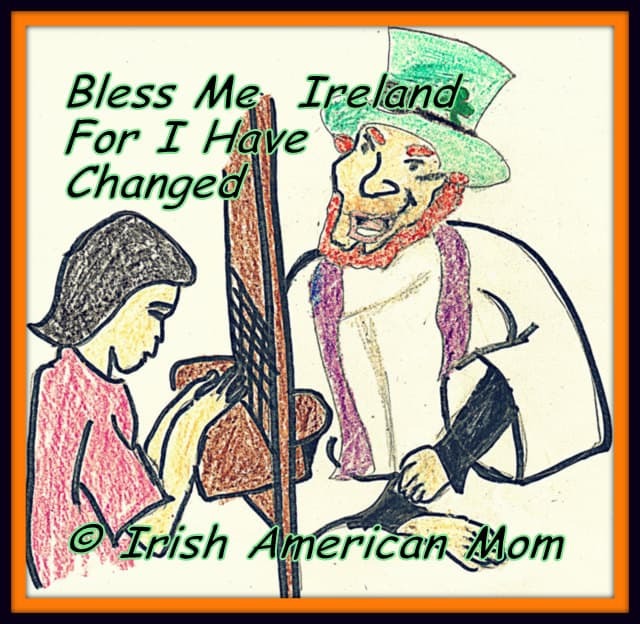 Thanks a bunch for spreading the word about Irish American Mom. I’ll send you a quick e-mail, Shannon, to let you know you are our prize winner. And a big thank you to the Irish Jewelry Company for sponsoring this wonderful prize and for introducing their unique Celtic inspired jewelry designs. 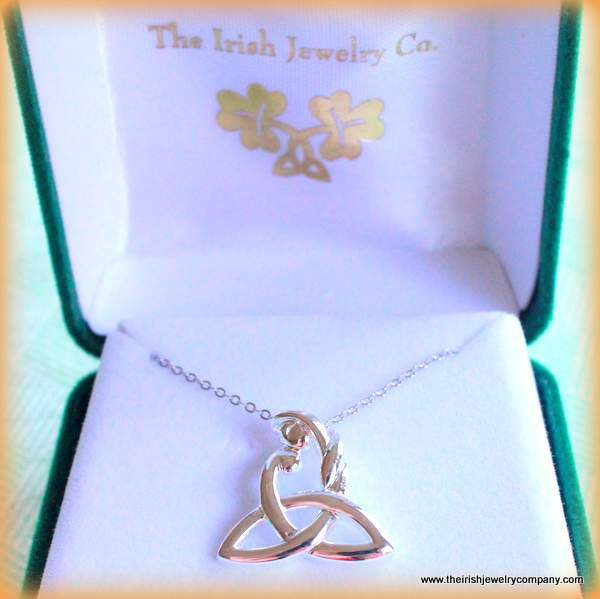 Disclosure: Irish American Mom received a Celtic Mother’s Trinity Knot necklace for review and photography purposes. No cash payment was received for publishing this giveaway post. I wish to thank The Irish Jewelry Company for graciously sponsoring the prize for this Celtic Jewelry giveaway. Would love to add this to my wife collection, in fact it would match one of her tattoos. Wow. This would make a lovely gift, with a multitude of meanings. I’ve wanted one of these since my son was born in 2009. I currently rock a claddaugh necklace that needs a companion. Such a lovely necklace! I would absolutely love to win this! My favorite piece of Celtic jewelry is a beautiful pair of Claddagh earrings accented with Connemara marble. 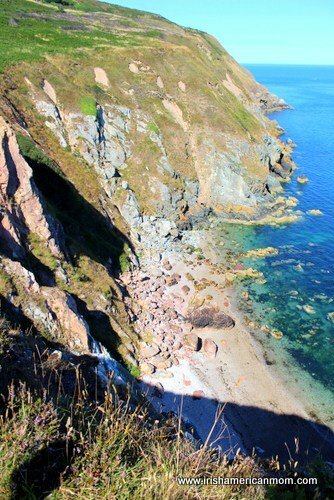 My Grandmother was Irish and I have always had a fondness and curiosity for stories, music, clothing, and really anything relating to Ireland. One day I hope to take a trip and see it for myself. I would cherish this beautiful piece of jewelry and would be a lovely piece to pass onto my daughter someday. The wonderful thing about Celtic jewelry, which I adore, is there is so much symbolism and meaning behind it. It means so much more when you wear it..